Vipasana meditation promgramme is a ten-day event. Every year, Aravindh Health centre organizes Vipasana meditation camps. Know more about Vipasana, and the instructions before registering for the programme. The Vipassana camps for 2019 are scheduled to take place during clickhere There are no charges for food, accommodation and the meditation programme. You may find more details about what Vipassana is and how the programme is conducted at http://www.dhamma.org/. At Aravindh Health Centre, we are organizing 10-day Vipassana meditation camps, as taught By S N Goenka, in the tradition of Sayagyi U Ba Khin, at Rajapalayam. Though Vipassana is not positioned as a therapeutic programme, there are no dearth of studies to show the relevance of peace of mind and health of the body. 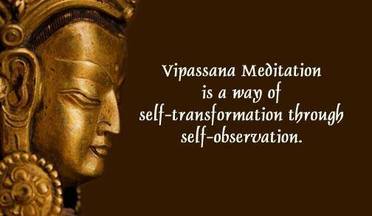 All our Vipasana meditation programmes are conducted only in Tamil and English.